In the world of fashion, Trends dictate the direction that fashion is going. It lets us know what is popular or hip at a given moment. This bag ticks two trend boxes 1. Red and 2. Fringing. Red was all over the A/W17 catwalks from Armani to Versace. It doesn’t matter which shade you prefer whether it is bright red or the darker burgundy hues; it’s safe to say that a little pop of red can brighten the darkest of Winter days. I know that for some people wearing a red jacket like the one in my red or dead post is just a tad too much. That's why red accessories are perfect as you can still add a splash of colour to your outfit in a small way. In my opinion the fringing detail is what makes this bag stand out. Without it, it would just be another saddle shaped bag. If I'm honest it was that detail that attracted me to it. 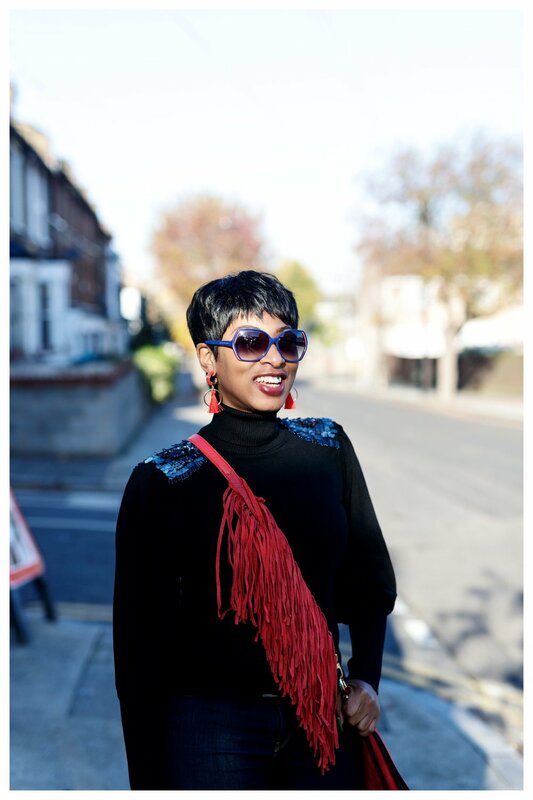 I love the fringing detail and it always draws attention and I also get compliments from people whenever I wear it. Fringed clothing such as jackets, skirts, dresses etc really made a big impact last year and I am sure they will return in a big way for Spring/Summer 2018. 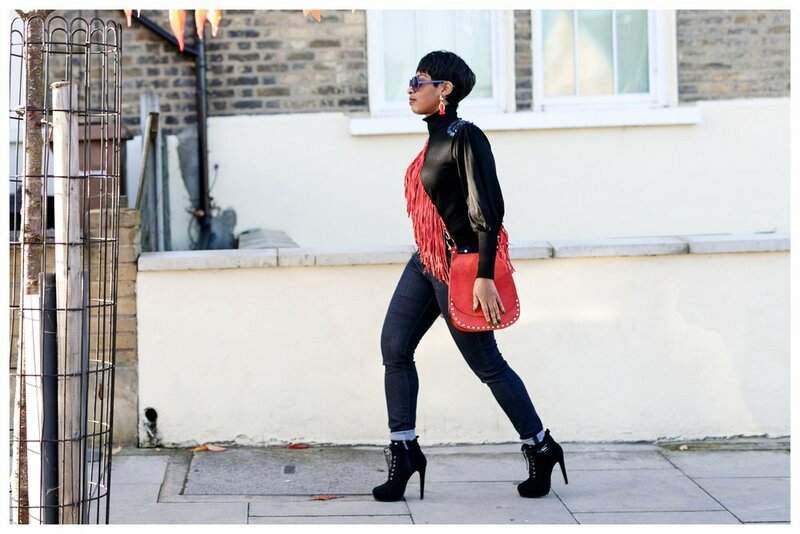 If you don't feel brave enough to rock a full on fringed look then fringed or tassel accessories are an Understated way to add this trend to your wardrobe.